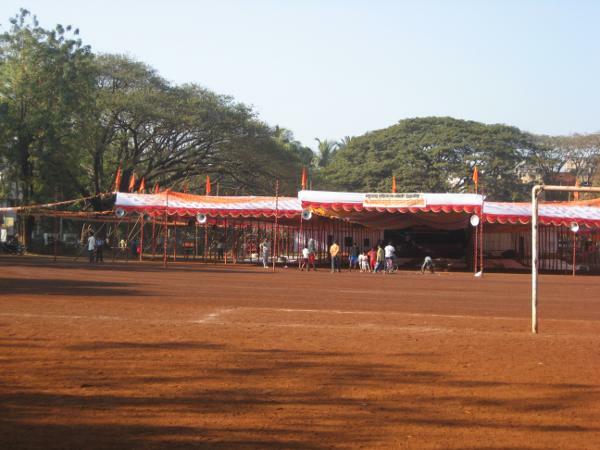 The MES organized Seema Parishad (Convention of Marathis) just ended at Subhahs Maidan (Lele ground) today evening. The event was a crowd puller of sorts and number of people attending were in good numbers and same was the case with Police. Jayantrao Patil Minister for Rural Development (Maharashtra), Subhash Desai, leader of Shiv Sena, N D Patil and various others leaders spoke on the occasion and asked the Marathi’s not to think they are alone and Maharashtra is behind them. 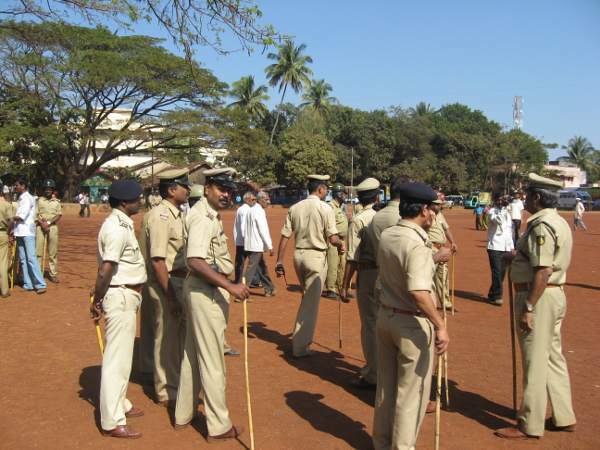 There were small incidents of trouble created by so called Kannada activists at the venue who were beaten up and police had resort to a very mild lathi charge. All was peaceful and no untoward incident was reported. The city buses were off the road as a measure of precaution which caused a lot of hardships to school going children and people going for work. Previous articleSambra Airport upgraded for ? hmmmmm yep. . . .
i dont know what these marathi’s get after this all, see the results tommorow, thats monday there is one more strike going against this, yaragatti will be bund tommorow. 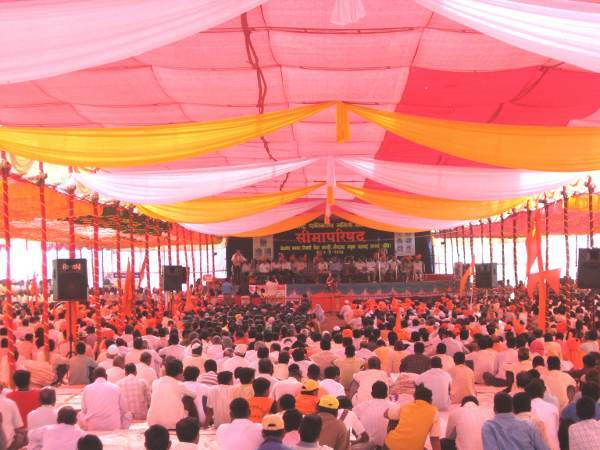 day after tommorow raibag bund called up to opose seema parishad. if by mistake also belgaum goes to maharashtra belgaumites life will be like daily bund, n will never improve. a crowd puller!! what a joke. – there were more policemen than maratis. 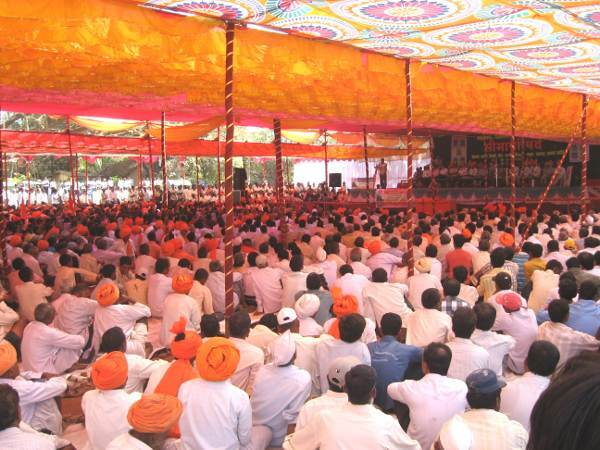 – most of the marashtra ministers did not come or stayed only to give a speech and run back off. – 2 factions of MES fought against each other. why do u hype such divisive events. @ Deepak- in fact no one noticed this other than u i guess. See that days Tarun bharat, there was only a small (very very small mention) about the event that day. Thats the TWO factions of MES. one led by TB and others by the past leaders of MES. This event was covered by all media it was my part as well. pL TRY TO EDIT (BLOCK) UNPRINTABLE WORDS FROM THE OPINIONS OF READERS.THIS USED BY FEW OF THE READS IS NO LESS OFFENSIVE THAN OF A FORMER P M .a DAY WILL COME WHEN WE THINK TWICE TO VISIT THE GOOD SITE LIKE AAB. HOPE YOU CAN EDIT THIS ALSO IF RQD. We appreciate you concern regarding the comments posted on the site.As you see, we have taken the neccessary action. Thanks once again. keep visiting. 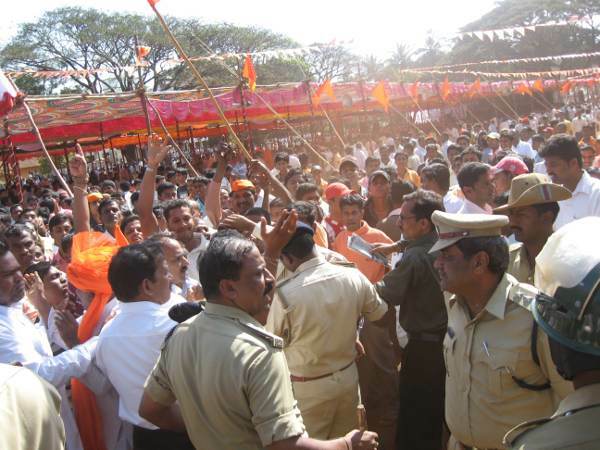 Good coverage…Good to known that the event went peacefully…If all belgaumites join their hands for Belgaum’s development and for their rights(All indians)then I am sure the Belgaum will develop soon as it should have developed long back considering its potential and culture. Beats me why they had to freeze the public transport..Glad that it went off peacefully…. Belgaumites are on tenterhooks most of the times. WOW good to know the event went in peace compared to last year where there was violence caused by some kannada activists.. I think this has shown the Maratha power to the govt of karnataka now and i guess they should do really good to the marathi people otherwise they are ready to take the law in their hand. This issue must be shut down.. i really don't understand why people are trying hard to make Belgaum a part of Maharashtra. I don't mean that Maharashtra is not good.. but then Karnataka is also not bad..!! Due to these political conflicts, the lower standard people who live on their daily wages or so.. are badly affected.. Its getting worse for those people to live. i think people should follow the concept of "LIVE AND LET LIVE", stop thinking on such silly matters and think for the betterment of mankind . It would be a pleasure, if these people stop all this NONSENSE ACTIVITIES and think about the PROGRESS of our COUNTRY..
ha ha, uday, when will u stop posting utterly pro marathi articles..
Good to hear that nothing went wrong in Belgaum!! and the end result was peaceful!! All About Belgaum!! Excellent Coverage. 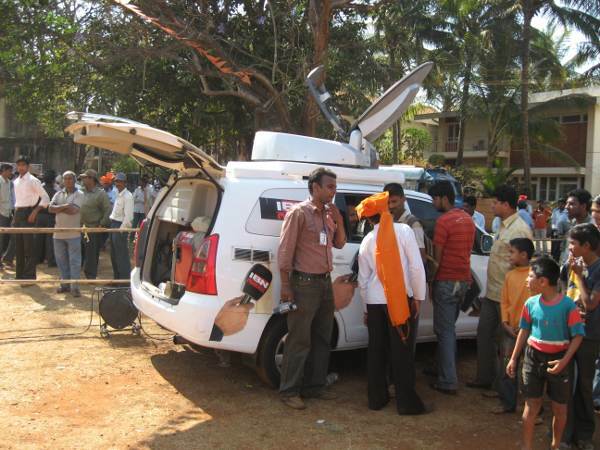 and the upload was too fast..
Nice to see IBN Lokmat doing the coverage! why they have colsed BUs Service…..
this has caused a lot of problem to us.